The diverse variety of food available might be one of the country’s biggest draws, but we also often come across wary travellers wondering how to avoid Delhi Belly in India. This dreaded travellers’diarrhoea has a nasty tendency to strike at the least convenient time (not that there’s ever a convenient time to have an upset stomach! ), but a little wariness and care can go a long way in avoiding a case of the runs. Most people who get Delhi Belly in India tend to get it in the first week of their travels, so it pays to be especially vigilant then. But that doesn’t mean you should get reckless after you’ve been here a while, either! Here are our top tips on how to avoid Delhi Belly in India so you can have a enjoyable and food-filled holiday! First rule of thumb – if it’s not hot, don’t eat it! Avoid uncooked vegetables and fruits, unless you’ve cleaned them yourself. This also means avoiding chutneys and accompaniments with snacks – make sure you ask they aren’t used if you’re experimenting with street food! And don’t dig in to food that’s been sitting around for a while, either – either at the eatery or in your room. Once food hits room temperature, it becomes a breeding ground for bacteria unless it’s thoroughly reheated. Well, beer, sodas and carbonated drinks, hot teas and coffee – essentially, stay away from water, unless you’re sure of its source! And one thing people often forget – being wary of water also means being wary of ice, as it’s often made using tap water. Even while buying bottled water, make sure that the seal’s good – people sometimes refill and resell bottled water! A good way to limit your plastic consumption is to use purification tablets or get yourself a filter bottle. 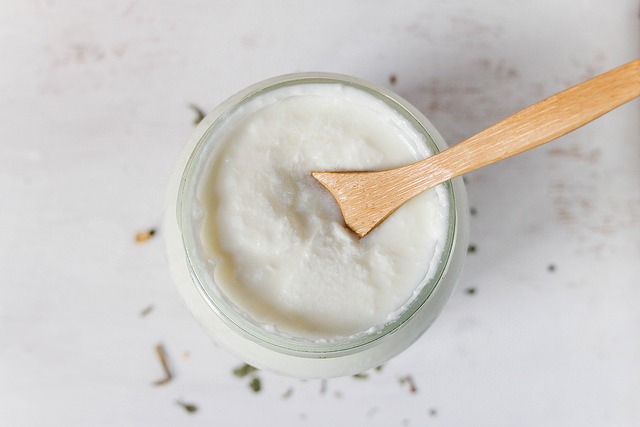 Probiotic bacteria make your gut happy and strong. A good way to keep your system ready for the food overload that will happen in India is loading up on probiotics! To prevent Delhi Belly, it might help to start on a course of probiotics – yoghurt and kombucha are good natural sources, but your doctor will also be able to help suggest supplements for you. 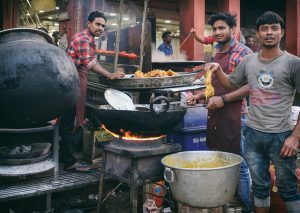 Don’t let all of this scare you off experimenting with foods though – some of the best food in India can be found on the streets and in holes-in-the-wall! Get recommendations from locals (we’ve got tonnes of ideas and love eating – ask us for suggestions!). More importantly, look for where the crowds are going. This not only means that it’s gonna taste great, but also that the turnover’s high – which means hotter, fresher food! Keeping your hands clean will go a great way to keeping your stomach healthy and happy. And not just at mealtimes, either! You touch your face more often than you know it, and those germs can get into your system pretty easily! 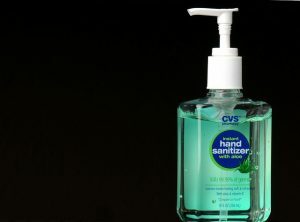 Don’t forget to wash your hands at regular intervals! If you do manage to get a stomach bug, don’t panic! Stay hydrated – soda with lime juice, sugar and salt is a good drink to have – and you can also pick up electrolyte powders from a pharmacy in a cinch. Along with that, make sure you keep plenty of toilet paper on you, as well as soap and hand sanitiser. Keeping a medical kit with anti-diarrhoea medications like Imodium, as well as oral rehydration supplements. This will make life easier if you do get struck down by Delhi Belly!